In a world of evolving, complex cloud infrastructure – there is no shortage of advanced security technologies that monitor for potential threats. People look for better ways to gain security insights from large datasets and are tasked with the responsibility of communicating associated business risk throughout the entire organization. In this webinar, Security Architect Chris Murdock from Conga will explore how to democratize the security of your next-gen infrastructure by building measurement directly into systems, factoring in security-related KPIs and OKRs. Tune in to learn how to securely scale your infrastructure while continuing to enable innovation at the speed of business. In this webinar, guest speaker Andras Cser, Forrester Analyst and Chris Ford, Threat Stack VP of Product, will discuss how enterprises can effectively combine the native security offerings of Public Cloud Platforms with third party tools under the shared responsibility model. Attendees will learn about various native security capabilities such as AWS Guard Duty, IAM, and Macie and how to evaluate third-party cloud security tools such as CASB, WAF, and CWS. Many public cloud providers and have robust security capabilities built-in to their IaaS offerings. However, they are often clear in their stance that security in the cloud is a shared responsibility between cloud providers and users. That leaves many organizations struggling to understand the differences between the multitude of third-party cloud security categories and how to determine which tools fit within their cloud environment. This webinar will help these organizations understand exactly what they are getting from their security provider and how to take ownership of their side of the shared responsibility model with third-party cloud security tools. Docker containers are often used to create developer sandbox environments. Because Docker containers can be lightweight, ephemeral infrastructure, they’re a natural fit for building sandboxes. While Docker is great at managing the lifecycle of these workloads, it’s not a security tool. In this webinar, Ethan Hansen, Security Analyst for Threat Stack’s Cloud Security Operations Program, will discuss recently observed Docker exploit attempts from the field, where attackers were looking for web applications vulnerable to command injection. He’ll also provide examples of what to watch for in your logs, cryptojacking and container breakout attempts among them. Container technologies such as Docker and Kubernetes create massive efficiencies for operations teams, and are, importantly, fun for developers to use. The downside: more IP-addressable containers create greater attack surface for compromising host OS. With the visibility provided by the Threat Stack Cloud Security Platform®, the Threat Stack Security team has the unique ability to observe user, system and file trends across cloud infrastructure, to see how bad actors are attempting to exploit it. Over the past year, the team has observed strong evidence of increasing sophistication of public cloud attacks. Although simpler methods, like exploiting S3 buckets or utilizing mass botnet activity, are still popular as ever, attackers are increasingly using multi-step attacks to traverse infrastructure in search of sensitive customer information and company crown jewels. 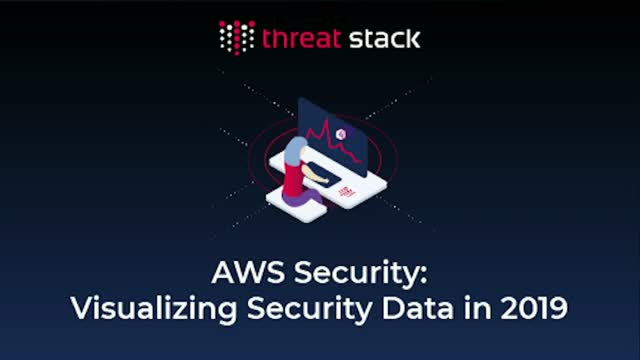 In this session, Threat Stack CSO Sam Bisbee will walk through the steps of a recent customer breach while discussing trends in the rising sophistication of public cloud actors and how to monitor your own infrastructure for these threats. The modern security professional is somewhat of a Unicorn – needing expertise in devops, security, and cloud infrastructure. Outreach’s CISO, Martin Rues, knew finding a candidate with the right combination of skill sets would be a time-consuming exercise with low yield. Despite not making a single security hire in 2017, Martin was able to tune down security alerts, achieve ISO27001 and SOC 2 Type 2 compliance, and develop a container security strategy all in the same year. Learn about Martin’s unique approach to coping with the security talent shortage by leveraging a Cloud SecOps program in this webinar on Thursday October 4th at 11am EST. Join Threat Stack’s Head of Ops, Pete Cheslock, and Sr. Infrastructure Security Engineer, Pat Cable to hear about their joint SOC 2 journey and the innovations created along the way (including a Change Management tool called ‘SockemBot’). May 25th, 2018, the day that Europe’s General Data Protection Regulations (GDPR) comes into effect, is fast approaching. Many US companies are behind the curve in determining whether and how GDPR applies to them and figuring out what to do about it. Meltdown and Spectre are hitting headlines across the world – creating blurred lines between hype and the technical reality. As a SaaS company, your bottom line depends on the availability of your product, security of your customer data, and the trust of your customers - so you will rightfully have some tough questions about security. If you're a security, technology, or product leader, you’ll need to instill confidence that your business won’t suffer from the reputation damage or operational disruption as a result of the next big breach. 1. Are we protected against Spectre and Meltdown vulnerabilities? 2. What is our plan to become GDPR compliant? 3. Are we looking to become SOC2 compliant? 4. … Tune in to learn more! - Despite security talent shortage, leverage your small team and other resources most effectively. - Make sure automated processes handle 99% of the noise, so you’re left to manage real threats. Threat Stack provides an integrated cloud intrusion detection platform that enables security and operations reduce cybersecurity risk and achieve compliance. This channel is aimed at empowering security, IT, and devops professionals with intelligence on cloud security, compliance, and devsecops practices and considerations.